ARRIVING from 'startup utopias', these three globetrotting entrepreneurs still hold lofty ideas about Australia's startup ecosystem. 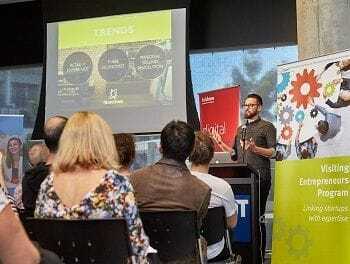 Business News Australia recaps the teachings of Brisbane's most recent Visiting Entrepreneurs who work in the startup trenches of San Francisco and Amsterdam. 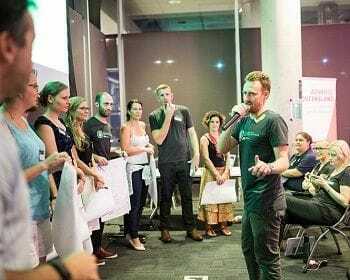 An initiative of Digital Brisbane and the Department of Science, Information Technology and Innovation, the Visiting Entrepreneur Program delivers an intimate snapshot into startup life and provides reality checks so onlookers can maintain enthusiasm for their own ideas. Based in Amsterdam, Dwight Gunning is a software engineer and entrepreneur who grew up on the Gold Coast and studied at QUT. Gunning's parents gave him his first programming book when he was 12 years old, sparking an interest that has led him to organise more than 60 Startup Weekends all over the world. "I studied Information Technology between 2001 and 2004, straight after the dot com bubble hit Australia," he says. "Entrepreneurship just wasn't on the agenda, so I made like everyone else, got a job, and worked at Accenture." Gunning says you know it's not right when you care about different things to everyone else you're working with. At Accenture, Gunning found himself caring far more than his colleagues about the customer experience and the specific product and technology details. He left the consultancy company on a leave of absence. "The bureaucracy of larger clients and implementing their complex systems just didn't excite me. I left chasing a girl to the Netherlands and with an idea I was desperate to work on." Gunning says Revirda was Uber before its time. "We just didn't execute this startup well and made heaps and heaps of mistakes," he says. "The big ones were underestimating the complexity and what would be required to establish a consumer-grade product. We underestimated the team and skills required to get things done on the product side. The biggest mistake was not having a Dutch person in our team, so we couldn't easily deal with local taxi drivers. We got to the final selection round in a couple of accelerators and that was it." Gunning has worked on a number of startups since and is now hunting for a team of likeminded people to start work on his next venture. "I think startups actually need to start before the ideas begin rolling. You just need to start from an area of uncertainty and then the ideas start to take shape and you work out the business," says Gunning. "Startups are born because you care a hell of a lot about your customers and understand something special about the future, having near-absolute certainty something will pan out a particular way." There's no better place than here either, according to Gunning. "I was writing an email about the Gold Coast 'catching up' and becoming a great startup community and then realised there shouldn't be any competition. As long as we are adding value, contributing to the economy and enjoying our lifestyles, you shouldn't be super competitive when it comes to comparing." Audrey Melnik has launched a number of startups including marketing and dating platforms, and most recently, a startup consulting firm. Melnik says it isn't important to spend a lot of time and money before validation in markets like Silicon Valley, and believes in building startups 'with sticky-tape and Band-Aids'. She has worked for blue-chip companies including GE Money, Pfizer and Myer, and spent six of her 20 years in the startup space working in San Francisco and New York. Melnik first caught the startup bug after helping jobseeker platform LinkMe go from concept to exit within six months in the early 2000s. She says Silicon Valley operates on a 'currency of social proof' and Australian entrepreneurs wanting to crack it over there must know the 'right people' to meet the 'right investors'. "There still needs to be a sense of urgency though because if you take a year or two to get to the broader international market, you will find it's already been covered by another company," she says. As such, nine months ago Melnik launched Funnel Ventures to provide Australian startups with somewhat of a shortcut. Funnel Ventures assists Australian startups with development, growth, productivity, sales, recruitment and investment, with an American focus. The situation dictates the fee, where a large seed funding round, for example, would deliver a greater return to Funnel Ventures. Melnik believes the most common challenge for Australian startups is access to funding or the right funding. "A startup isn't traditional. It needs to iterate and reiterate and experience until it finds the right approach. It needs room to be creative and experiential, and I think typically Aussie investors don't have the patience for that, while American investors understand it can take time." Melnik says we have cultivated a culture around startup success stories in Australia, which is great, but this isn't always how things play out in the real world. "There's a truer reference point in the US because more startups have pivoted from their original ideas," she says. "Australian startups often come to Silicon Valley and think there's a pot of gold at the end of the flight just for them - they will talk to some investors, have one or two meetings and come home with a cheque. The whole world is there to get money though." On the plus side, for startups at the right stage, Melnik believes it's easier to get meetings that have no set agenda in the US as opposed to Australia. "There's a 'pay it forward' culture over there where people are more open to thinking a conversation is worthwhile just for the purpose of collaboration rather than a specific agenda." Tristan Pollock has featured on the Forbes 30 Under 30, helped fund more than 1500 startups in just five years, and counts Kanye West as a customer and Nas as an investor. Storefront, Pollock's most recent startup, is the largest online marketplace where artists, designers and brands can discover and rent retail space. Before launching Storefront in 2012, Pollock co-founded Social Earth, a platform dedicated to discussing social-minded ideas and businesses. It was acquired by 3BL Media in March 2012. Pollock now works for 500 Startups, which is considered one of the world's most active seed fund and startup accelerators, primarily writing cheques ranging between $50,000 to $100,000. Pollock is looking to add another 500 startups to the pool of 1500 the venture has already funded. On his recent trip to Australia, Pollock said he was 'pleasantly surprised' about the state of our startup ecosystem across Brisbane, Sydney and Melbourne. Pollock is a big believer in gut instinct, and like Gunning and Melnik, acting fast. He works in a fast-moving environment complimentary to this - the San Francisco accelerator of 500 Startups turns over 50 startups every four months. "Much of my assessment, from an investor point of view, actually comes from gut check," says Pollock. "I need to feel that these founders have the right people on their team right now that can grow with the company and bring it to the next level. Generally, investors look at team, product and market, but I think the most important is team. "I look at whether they have enough EQ, enough IQ - the right combination of those - and how that relates to other people I've seen and where those companies have gone." With respect to acting fast, Pollock says it's more important to get the idea out there, and founders shouldn't concern themselves with 'building everything at once'. He draws on the journey of Storefront, which has raised just under $10 million in three and a half years. The New York Times calls Storefront the 'Airbnb for retail spaces'. "Don't overthink it and feel you need to build the app and a full website with a complete suite of products straight away," he says. "Myself and my co-founder walked the streets to see if store owners would be interested in what we were doing with Storefront and asked if they would list their empty spaces on the platform. From there, we then started to work on the other side of the marketplace. We put up a landing page with an email address for those who were interested, and with minimal marketing secured our first customer list. "The elevator pitch is always appreciated."